The two Cherry Hill West alumni were married on Aug. 11 at Haddonfield United Methodist Church. Cherry Hill West alumni Amanda Marie Ortega and Matthew Clark Schopfer were married in a private chapel ceremony on Saturday, Aug. 11 at 11 a.m. at the Haddonfield United Methodist Church in Haddonfield. The Reverend George E. Morris presided over the ceremony. Music was provided by organist, Matt Smith. 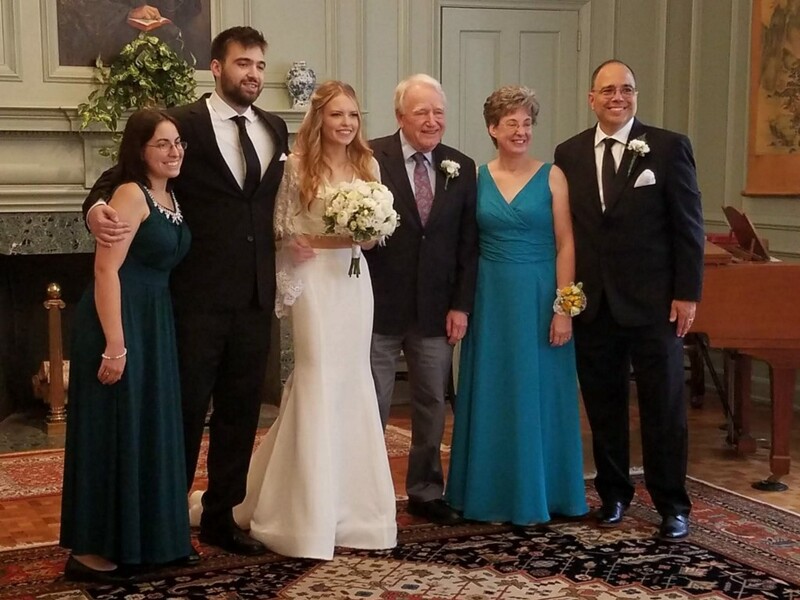 The couple is lifetime residents of Cherry Hill having attended Kingston Elementary School, Carusi Middle School and Cherry Hill High School West. Local residents in the bridal party included the Maid of Honor, Allegra Lyndell; Best Man, Arlind Hoxha; bridesmaids Seana Willis, Nayaa Opong, Liz Schopfer and Isabel Rodriguez-Franco. Groomsmen included Julian Kelhower, Ryan Hayes, Alex Foxwell, Matt Wenzel and Dane DiJosie. The parents of the bride formerly of Cherry Hill are Dennis and Denise Ortega. The parents of the groom are Cherry Hill residents Lou and Jan Schopfer. Surviving grandparents completed the wedding party. Grandfather of the bride is Juan Ortega and grandfather of the groom is Robert Clark. A wedding reception was held at PJ Whelihan’s in Cherry Hill. The groom is a Criminal Justice graduate of Rutgers University in New Brunswick, New Jersey is a licensed security officer and works as a professional driver. Matt is currently pursuing fulltime criminal justice and security positions in the area. Amanda is employed in the local retail and beauty industry. The couple will reside in Cherry Hill after their honeymoon at the Hard Rock Hotel and Casino in Atlantic City.